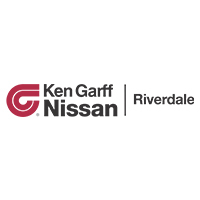 When you choose to buy from Ken Garff Nissan Riverdale Ogden, you get more than a great price and a reliable vehicle. You get the customer service and professionalism backed by one of the top 10 dealers in the U.S. Recent Arrival! 20/27 City/Highway MPGTake a test drive today at Ken Garff Nissan Riverdale Ogden. When you choose to buy from Ken Garff Nissan Riverdale Ogden, you get more than a great price and a reliable vehicle. You get the customer service and professionalism backed by one of the top 10 dealers in the U.S. Recent Arrival! 19/26 City/Highway MPGTake a test drive today at Ken Garff Nissan Riverdale Ogden. When you choose to buy from Ken Garff Nissan Riverdale Ogden, you get more than a great price and a reliable vehicle. You get the customer service and professionalism backed by one of the top 10 dealers in the U.S. Recent Arrival! 31/39 City/Highway MPGTake a test drive today at Ken Garff Nissan Riverdale Ogden. New vehicle pricing includes all offers and incentives. Tax, Title and Tags not included in vehicle prices shown and must be paid by the purchaser. While great effort is made to ensure the accuracy of the information on this site, errors do occur so please verify information with a customer service rep. This is easily done by calling us at (801) 781-4500 or by visiting us at the dealership.